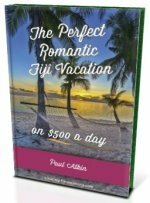 What is the religion in Fiji? Discover all about Fiji's religions here from it's past extreme practices to the state of religion today. Traditional Fijian religion involved the worship of a hierarchy of gods called 'Kalou' or 'Nanitu'. The gods varied from the many tribes on various islands. Each village had a priest (Bete) and a Bure Kalou or temple where certain gods would be honoured. 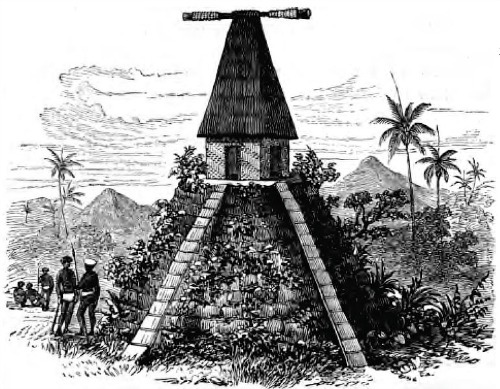 A sketch of a Bure Kalou done in the early 1800's. Today, Fiji is generally considered a Christian nation as this is the dominant religion, with the Methodist denomination being the most popular. There are also eastern religions present with Hindu being the second most popular religion in Fiji. There are public holidays (Fiji Holidays section) dedicated to the various religions, such as Easter and Christmas from Christianity, Diwali from Hindu, and Mawlid (Prophet Muhammad's birthday) from Islam. 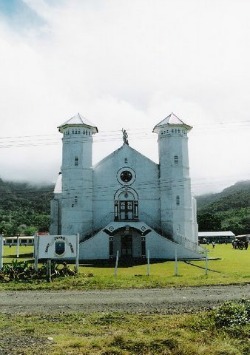 Christianity was introduced to Fiji via the Tongans who were more receptive to Europeans. The cessation to Britain in 1874 starting the trend of Fijians accepting Christianity over the old religion. Churches were being built replacing the Bure Kalou which were being torn down. Various forms of Hinduism was bought in with the indentured labourers by the British from India (read on our Fiji Indian section) and now is the second largest religious group in Fiji. Considering you will most like come through Nadi, you can easily visit the Sri Siva Subramaniya temple pictured below, taking into consideration it's code of ethics starting with dress ethics. At this stage, religion as a subject is generally not taught in schools. Some schools run by religious organisations teach religious concepts, be it theirs or of others too. If religion is to be taught at schools, then aspects to consider are: should it be compulsory or voluntary, and what faith should be taught or should various faiths be taught.